Aloe Cleansing Gel™ is a ‘must-have’ for every diaper bag. This waterless gel’s natural germ fighters gently help clean sticky fingers, faces and bottoms. Also helps soothe irritated areas around your baby’s skin folds without the need for water. Can be used with cloth diapers. Aloe Cleansing Gel™ is a ‘must-have’ for every diaper bag. 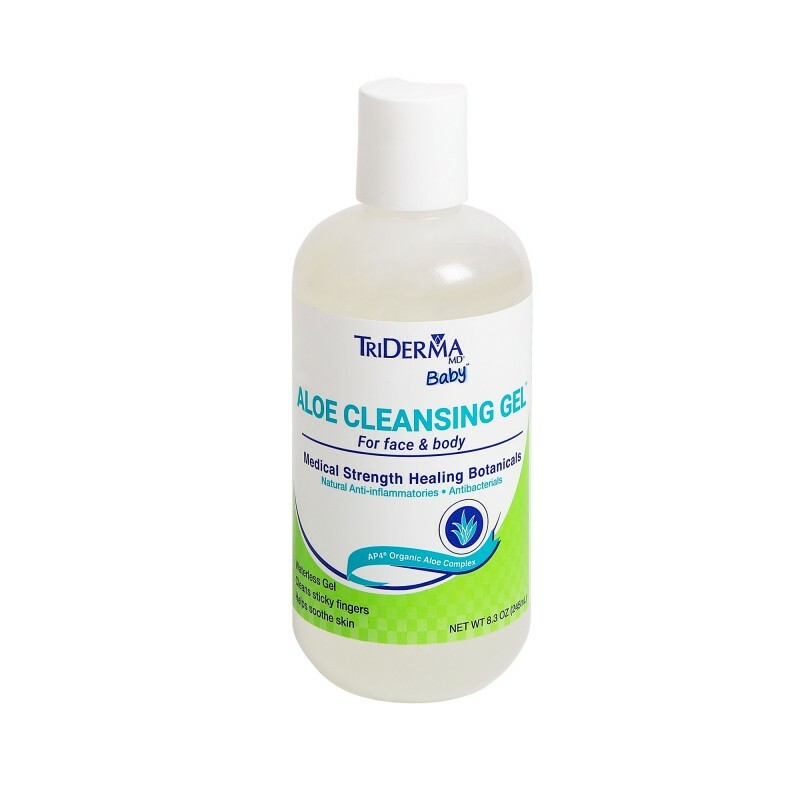 This waterless gel’s natural germ fighters gently help clean sticky fingers, faces and bottoms. Also help soothe irritated areas around your baby’s skin folds without the need for water. Can be used with cloth diapers. I used this on my 5 month old who had a severe breakout due to acidic foods and this cleared her skin instantly. I love that it’s all good ingredients and isn’t a bunch of chemicals! Along with the Rosacea my skin is very dry and extremely sensitive. This product is one of the very few that does not irritate my skin. My dermatologist told me to get rid of the other products I have used and just keep this. Thank you so much! This product is amazing and so reasonably priced. You can't beat it! Apply liberally to effectively cleanse irritated diaper area. 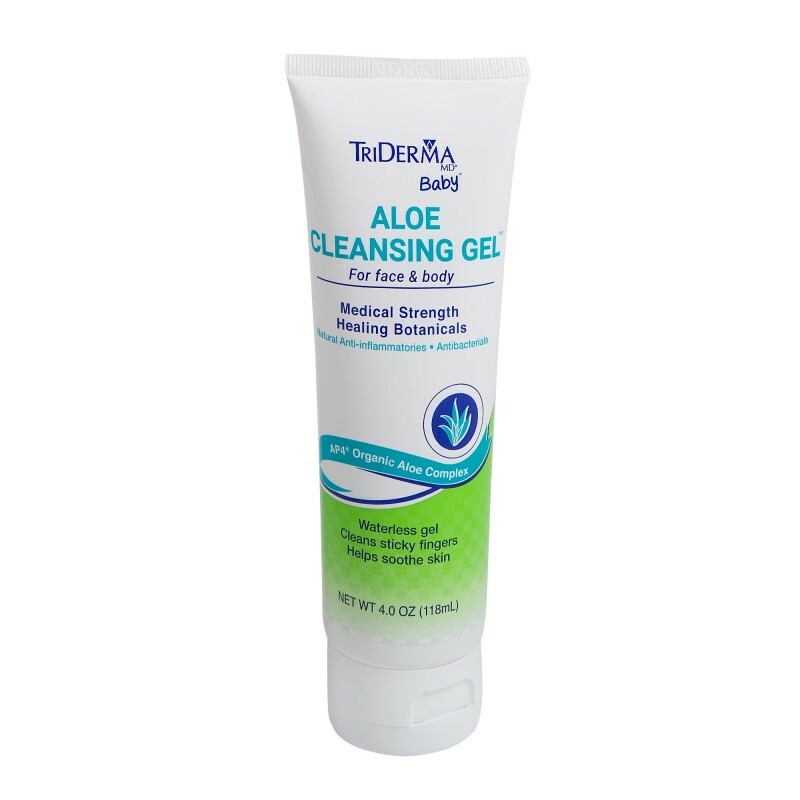 For soothing relief to irritated area, reapply to clean skin and let dry. To clean face, hands or body, gently apply and wipe away. To protect skin from drool, apply to chin and cheek area and leave on. "Wonderful product that works so fast. My mother is 72 and loves this also." Linda P.